Includes the names: ALTER JON WILLAIMS, Jon Walter Williams, Walter Jon Williams, Williams. Walter Jon. Established in 1968, the Clarion Writers' Workshop is the oldest workshop of its kind and is widely recognized as a premier proving and training ground for aspiring writers of fantasy and science fiction. 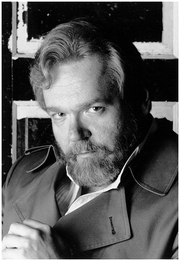 Walter Jon Williams has been nominated repeatedly for every major SF award, including Hugo and Nebula Award nominations for his novel City on Fire. Walter’s latest is The Fourth Wall, a near-future thriller about reality television. Walter Jon Williams is currently considered a "single author." If one or more works are by a distinct, homonymous authors, go ahead and split the author. Walter Jon Williams is composed of 6 names. You can examine and separate out names.